A wide range of posters were presented on the 25th of April from 16.00-17.00 at Mestil Hotel Kampala. The theme for this poster session was "Leadership in Healthcare: Strategies for Success". See abstracts and posters below from the participating organizations. UNFPA in collaboration with Ministry of Health has through training equipped Young Midwives Leaders with Leadership, Management and Governance skills for continuous quality improvement at their respective health facilities. This is one way of empowering Young Midwife Leaders to advocate for quality Midwifery care and identify solutions to maternal and newborn health issues. "Coordination of the National HIV response through the Partnership Mechanism firmly placing Uganda on the path to ending AIDS"
The Uganda AIDS Commission’s approach to coordination of the multi-sectoral HIV & AIDS response through the Partnership Mechanism has enhanced participation, effective coordination, monitoring and evaluation of the HIV response. This is firmly placing Uganda on the path to ending AIDS, with all HIV partners aligning their plans to the National HIV & AIDS Strategic Plan. "A systems approach to developing leadership, management, and governance capacities in the health sector. Amref Health Africa’s experience." A systems approach to developing LMG capacities nourishes the idea of moving from the view of leaders as the product of individual characteristics to seeing leadership as collective, shared potential in the organization, hence the notion ‘leadership as an attitude rather than a role.’ Amref Health Africa has designed a number of innovations in LMG including The African Health Leadership and Management Network (AHLMN), The Management Development Institute (MDI) for Health Care Organizations training, The eLearning Leadership, Management and Governance (LMG) training, and Leadership, Management and Governance training for midwifery managers. "A long-term strategic plan (2018-2023) for every health facility and district in Uganda"
Based on an analysis of a sample of health facilities, research and interviews with stakeholders, it can be concluded that a majority of health facilities have challenges with planning, financial budgeting and long-term vision. Almost none of them (especially HCIII) have a long-term strategic plan including a financial plan or lack a comprehensive one. This pilot project focuses on the long-term strategic planning of health facilities and districts and fits within the ICB II and PNFP projects and Result Based Financing (RBF)-scheme of Enabel and can be considered as fuel to better RBF-results and sustainable strengthening of the health facilities. "The Global Public Health Research & Development Fellowship Program"
To help close the R&D knowledge and experience gap that exists in many countries in Africa, Johnson & Johnson Global Public Health has established an R&D Training Fellowship Program for highly talented and experienced African graduates. Fellows will be trained for 2 years in senior functions of drug development, after which they will be well equipped to deploy in their country of origin the new knowledge and experience which they will have gained during the Program. Through the support of Johnson & Johnson’s Janssen Pharmaceutical Companies (Janssen) we are committed to support building drug development capacity and networks in Africa to enable countries to address diseases with high medical needs locally, as well as supporting international developments programs. "Improving Health Care Outcomes through Social Participation in Decision Making - a Case Study of Health Unit Management Committees in Uganda"
Strengthening the legal and policy framework for community participation in the healthcare delivery system to improve healthcare outcomes through social participation in decision making – A Case Study of Health Unit Management Committees in Uganda. "E- ADAPTIVE LEADERSHIP & MANAGEMENT PROGRAM"
Creating a pool of adaptive leaders with improved motivation, engagement, productivity, accountability, community participation, reduction in absenteeism and ultimately improved service delivery. "History of Leadership in Healthcare"
Although Higher Institutions of learning train health care professionals in MPH, MBA etc, these are usually taught at postgraduate level. There is need to start this training at undergraduate level to equip the professionals with the essentials. "Feasibility Study on the Social Return on Investment (SROI) model among Johnson & Johnson Alumni of Pepal and Baylor-Uganda Projects"
SROI is a method for evaluating the impact that programs or organizations have on society and the environment. J&J alumni participated in a SROI feasibility study of outcomes following volunteering in Pepal & Baylor-Uganda projects. Attributable social changes were increase in health systems’ knowledge; broad-based awareness creation on resource-limited-setting challenges. 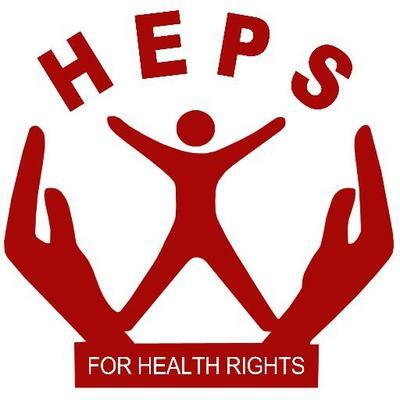 CHWs were recruited to support HIV prevention and care programs by linking communities to health facilities. They were not given any formal training on the soft skills required to engage with clients to adhere to treatment, yet they were expected to perform. 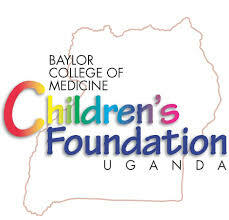 Baylor-Uganda, an HIV/AIDS implementing partner, set-up a leadership-mentorship program aimed at imparting leadership skills to CHWs in the HIV programs. This study seeks to explore the effect of the training on the performance of the CHWs. "Improving health service delivery through capacity building: using district mentors to improve viral load coverage in the Rwenzori region of western Uganda"
Viral load monitoring is critical to the attainment of the UNAIDS third 90-90-90 strategy and curb the HIV/AIDS epidemic. The viral load (VL) coverage in Kabarole district, western Uganda was low, at 15%, due to the lack of knowledge and poor attitude towards VL monitoring by health workers. A continuous quality improvement project was started in January 2017 to address the challenges and barriers to VL coverage. The project set out to build the capacity and change the attitude of health workers with the aim of improving the coverage of site level VL. "Innovating to improve health worker Continuous Professional Development (CPD): A look at distance learning activities of ATIC"
The Advanced Treatment and Information Centre (ATIC) provides distance learning opportunities for health workers through the Toll-free line and the open access clinical training website.